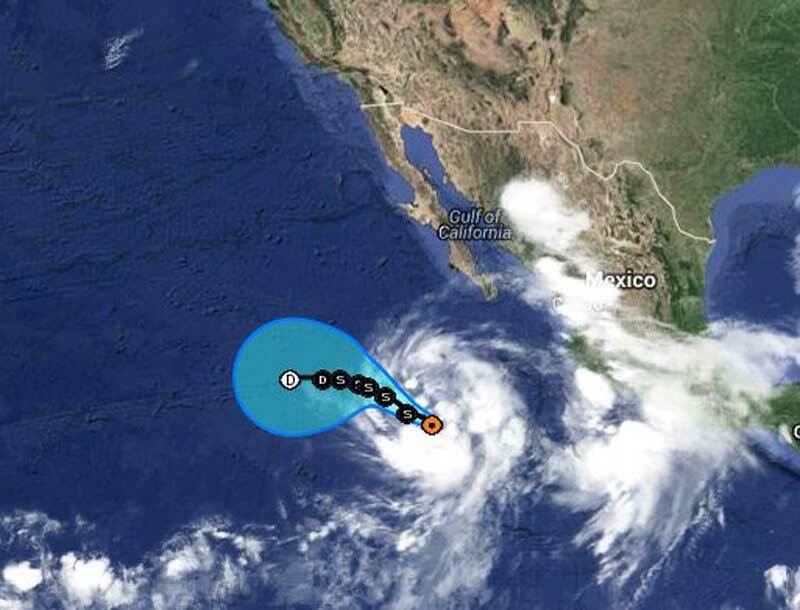 A new Tropical Storm has formed in the east pacific ocean several hundred miles of the coast of mainland Mexico. Tropical Storm Douglas is currently heading North West deeper into the Pacific at 15 mph. The storm has maximum sustained winds of 40 mph. The good news is that it’s not expected to become a Hurricane but if it does would only be a category 1. No matter what small vessels may be a risk from ocean swells near the coasts of Mexico. Douglas is the fourth Tropical Storm in the Pacific this season so far. At the moment the region also has another storm system which may also become a Tropical Storm just of the coast of Mexico. The storm poses a greater danger as it’s only 240 miles south-southeast of Manzanillo, Mexico. Cruise Hive will keep readers updated once it becomes a Tropical Storm. There is also another storm system forming of the east coast of Florida which could effect cruise ship itineraries. Cruise Hive will keep readers up to date on the developing storm.